Boston Handmade: See Boston Handmade at SoWa - Sunday October 18th! 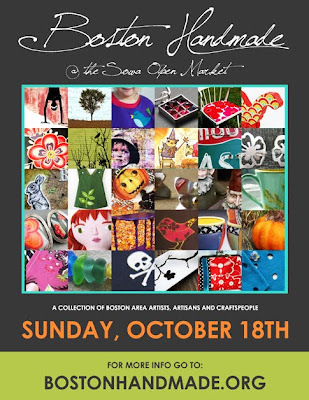 See Boston Handmade at SoWa - Sunday October 18th! With fabulous hand crafted wares, live music, and the excitement of Boston's hottest spot for shopping, it's an event not to be missed!